NVCommercial was co-founded by Stephen Cumbie in 1983 and Peter Lunt joined as a principal in 1987. Together they have led the development, investment and asset management of the company since then and founded the Metro Realty Group as real estate service providers in the early 1990’s. Russell Marks joined the team and provided a background in institutional commercial real estate to the group. NVCommercial and its principals have been active in the National Association of Industrial and Office Properties (NAIOP), the Urban Land Institute and the International Council of Shopping Centers. 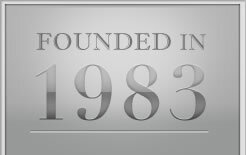 In 1989, NVCommercial was selected the Developer of the Year by the Northern Virginia chapter of NAIOP. Together the principals bring over 75 years of experience to bear. They think like owners because they are owners.